Textkernel’s recent Q3 2018 analysis of the UK Job market revealed 2,360,570 unique jobs posted on non-government sites. The data used for this report comes from Jobfeed, Textkernel’s searchable job database for lead generation, competitive insights and labour market analysis. You can learn more about the state of the UK Labour Market in Q3 2018 by reviewing our infographic below, and downloading the full report. This report looks at vacancies posted on commercial, independent job sites; Governmental vacancy websites are not included in this analysis. Franchise jobs, side jobs, internships, volunteer work, freelance positions and apprenticeships are excluded from the analysis. 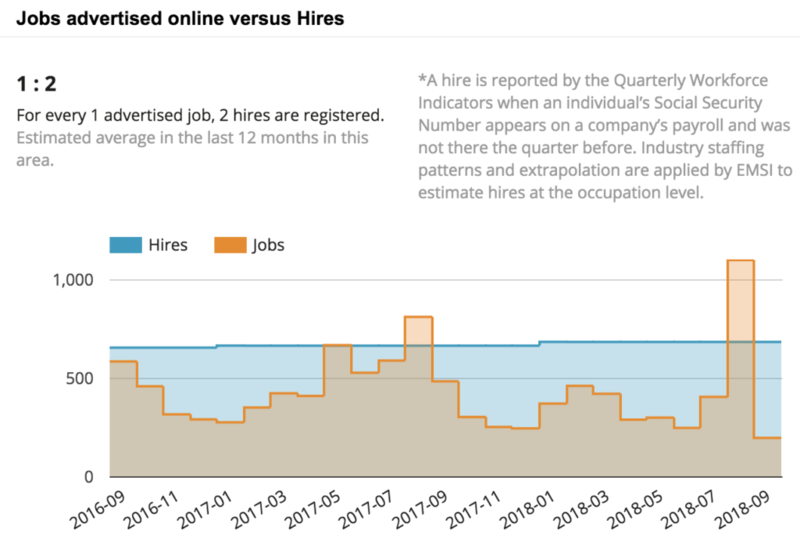 The new Insights tab offers users a visual representation of the jobs data they’re working with via charts to better analyze the demand side of the market. 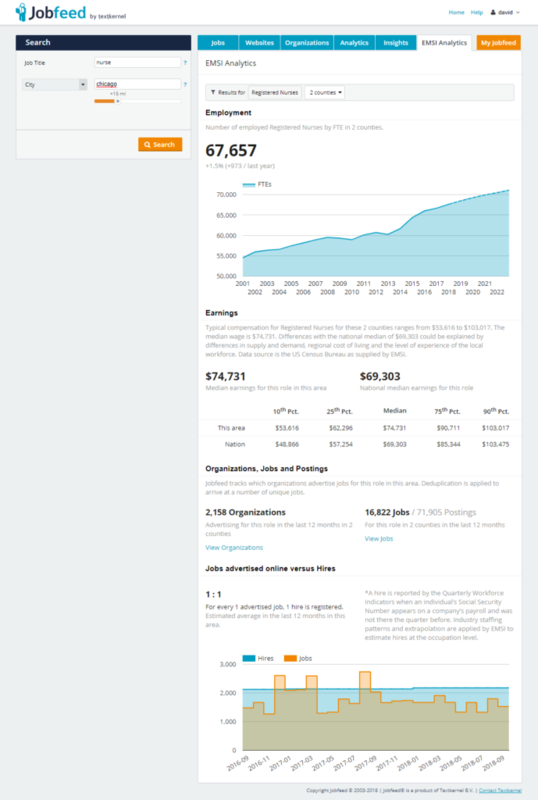 These insights update based on the current search form users currently customize for their queries and offer insight into top employers and agencies, top professions, job boards, median posting duration, salary offered, distribution by state and more. The enhanced EMSI Analytics tab provides data from the US census bureau and other sources to offer insight into the supply side of the market. This is available per profession and is customizable down to the county level. EMSI is perfect for investigating the number of employees in a specific profession, their typical regional earnings compared to the national earnings and the number of people hired per month versus the number of job postings per month. The many filters and search criteria that you’re already using on the Jobfeed portal for searching jobs work automatically with the data visualization on the Insights tab. This makes it a great way to turn a search you’re already busy with into an analysis of market demand and supply. 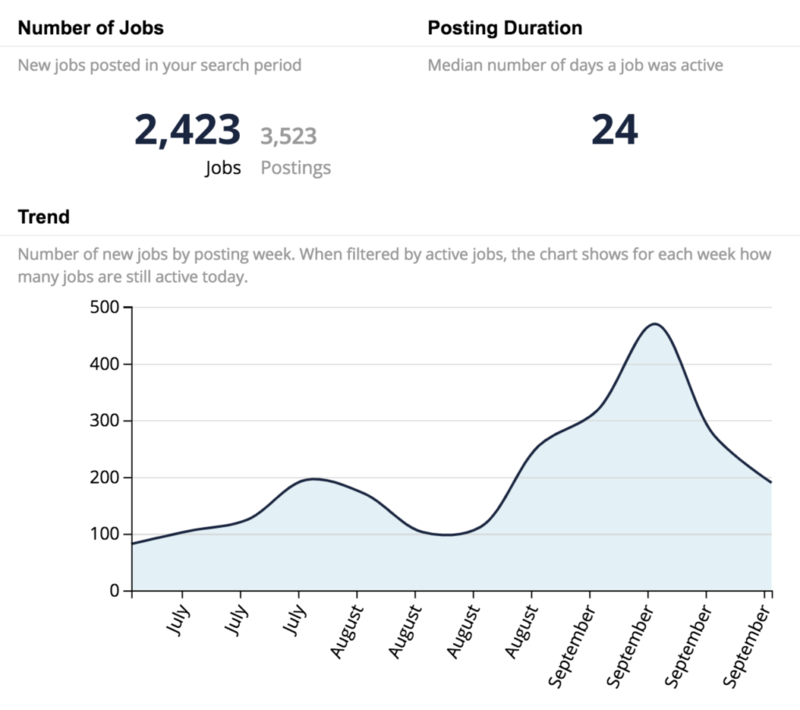 Most of the charts are interactive and link directly to the job details. Interactive charts are an intuitive way to explore and analyse data on a high level while still allowing you to immediately inspect the specific jobs, roles or companies behind this data. 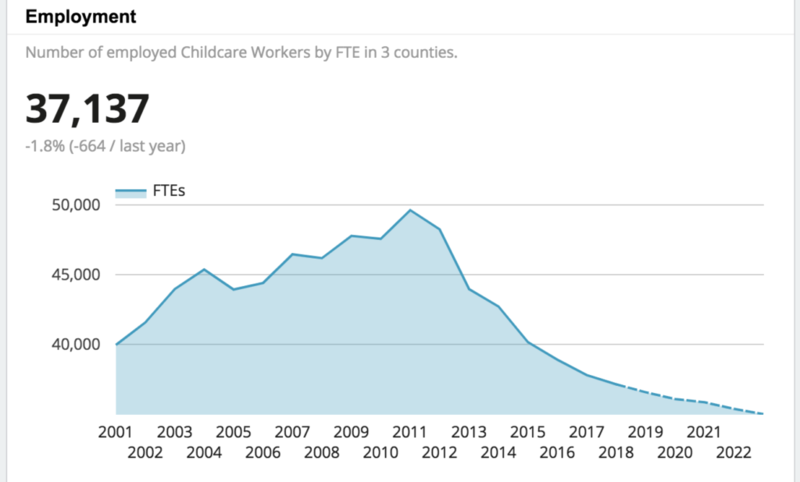 The new charts available in Insights include job posting data since May 2016, while the EMSI Analytics section has labor market data stretching from 2001 to 2023 (future trend prediction). This information is ideal to support strategic decision making and adapt your focus and services to the needs of the market. The charts available on both the Insights and EMSI Analytics tabs can be changed to focus on a company or role depending on the data in the search form. This provides the information needed to spearhead existing conversations with customers or prospects about their unique situations. The new Jobfeed features are immediately available; we’d love to hear your feedback. Please get in touch with your account manager, or mail us at info@jobfeed.com with any questions, comments or suggestions you have. 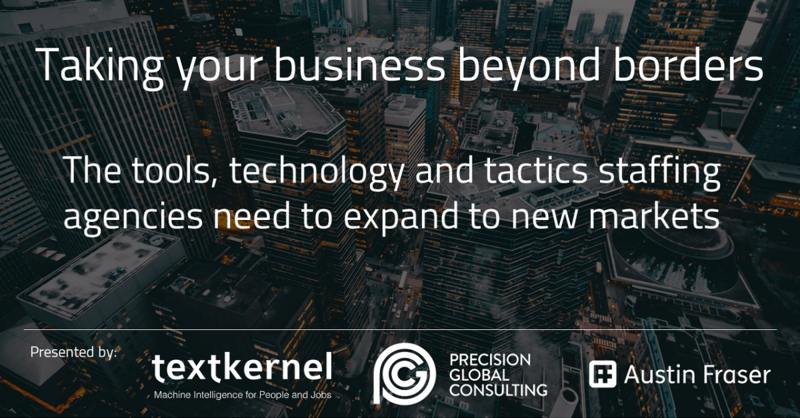 Ian McIntosh (Textkernel), Jeremy Wastall (PGC Group) and Richard Stenson (Austin Fraser) sat together to discuss the tools, technologies and tactics available to help staffing agencies expand into new markets and territories. Enter your details below to access the on-demand webinar where the gentlemen discuss how to gain strategic market insight, how to deal with compliance, onboarding, and workforce management in the U.S.; and finally share some tips on what does and doesn’t work.